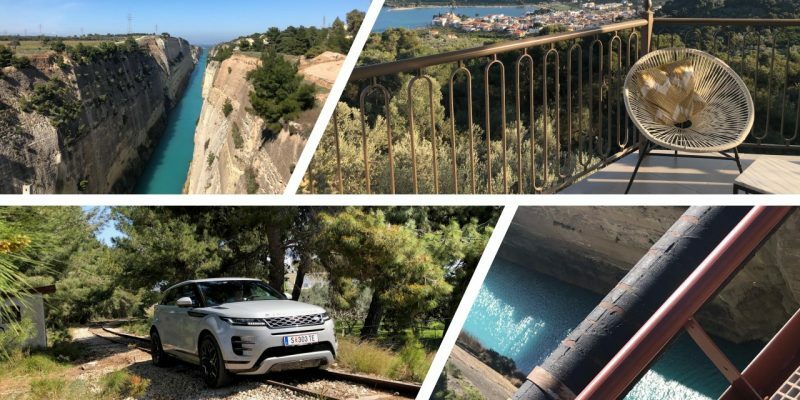 As OM DMC we were entrusted, as part of the team, to present the charms and ideal infrastructure of Greece and pin it as the destination for the 2019 Global Media car launch of the new Range Rover Evoque. Greece was chosen as the backdrop for yet another impressive car launch extravaganza of this refined SUV, elegant like a woman and tough at the same time as a man. Carefully selected locations conspired to create a series of much talked about Global Media rotation weekends in the land rich with history, civilisation, philosophy and culture. In the land of fables of Gods and heroes, myths and legends. This fabled land of heroic Gods and fascinating myths was the ideal destination to present the evolution of Range Rover Evoque, backed up by a long heritage of UK’s leading car manufacturer. The route was designed to showcase the beauties of Peloponnese and at the same time enable the journalists to test this stylish SUV and its clever innovations through all sorts of terrain, with diversions along the way to off road tracks, a few streams and small rivers. An element of surprise was a breath-taking driving thrill through an old railroad bridge, 150 feet above a gorge over the Corinth Canal. Coffee stops by a quaint secluded monastery, at a unique spot overlooking the picture-perfect bay of Epidaurus or lunch at a smartly designed setting overlooking the beautiful town of Nafplion and Aegean Sea, showcased the amazing Peloponnese countryside, with a pampering overnight at exclusive Amanzoe, at posh Porto Heli. Such a mythical car crossing the land of Gods will remain, for years to come, as a once in a lifetime experience. Get in touch with us for Car Launch possibilities in Greece.